Buzz Picasso is happy to support fundraising efforts by charitable organizations. Our goal is to help you raise money for your worthy cause while making this your organization’s most fun and easiest fundraiser ever. 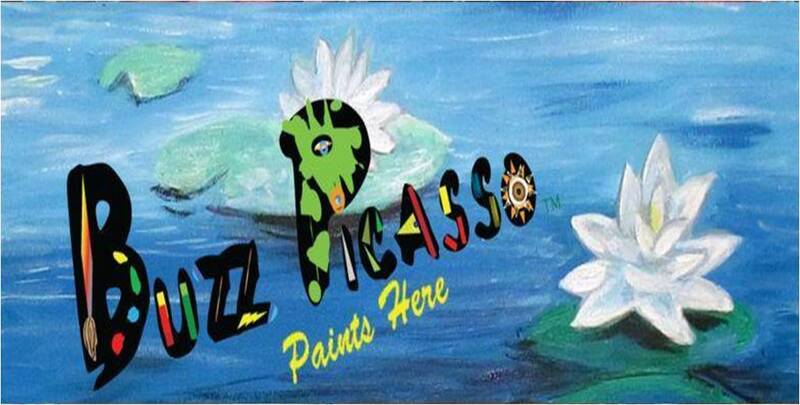 Buzz Picasso’s Role: We provide all of the supplies to include 16"x20" canvas, paint, aprons, easels and brushes along with step-by-step instructions from a professional artist. We do ALL of the Set-up and Clean-up. If this is a public Event, we can also list on our website and accept payments. Your Role: Your job is to have fun and Enjoy the event. Prior to the event, we ask that you assist in marketing by distributing the Flyer we help create and sharing event on Facebook and other word of mouth advertising. Some Organizations also choose to sell tickets to the event either exclusively or in addition to Buzz Picasso online sales. If we have a large group, we appreciate help in checking participants in and collecting money from last minute sign-ups. Location: We can assist with a location if needed as we work with many restaurants who appreciate us bringing in a crowd during their slow hours or days. If you have a good location, then we can make that work as well. If we use your location, we need chairs and tables for the number of participants (Buzz brings the tablecloths). We will also need access to the location about an hour prior to the event for set-up and about 30 minutes after the event for clean-up. Price/Fees: We will set ticket prices at whatever price level you want. We recommend either $30 or $35. Our fee is $60 plus $20 for each ticket sold.